Break Forth Fall Newsletter, 2013. There will be no Break Forth in 2014 (not that I care or would ever go to one.) Why the suspension? Damage control for some scandal that is ready to break out? Maybe—time will soon tell. The fake smiles and the pop music pictures in the newsletter tell the tale of lukewarm worship well enough. The content of the letter tells us the rest of the story: the lukewarm doctrine and the associate sins. And that is the subject of, and the reason for, this article. In the letter we are told that a miracle has happened to the benefit of this ministry called Break Forth. A ministry center has been purchased ‘at far below market value’ through the generosity of a Christian businessman. What is a miracle? Have you ever stopped to think about that? An axe head floating (2 Kings 6.6.) can be called a miracle because such a thing demands more than a natural explanation. It is an event that seems contrary to nature and that is above nature. It is an event that cannot be explained outside the special interruption of God. Being given a cut-rate on a piece of property does not come close to qualifying as a miracle. No marvelous wonder was necessary to make this happen. People do favors for a variety of reasons every day. Or God might have prompted someone to reduce the price of a property. But even if he had prompted someone to give the property away, that would be no miracle. Making water into wine, this is miraculous. Healing a man born blind, that is a miracle. If receiving this or that for less than the usual price may be termed a miracle, then a miracle happens every time someone buys something on special at the supermarket! Why do ministry leaders throw around the word ‘miracle’ so promiscuously? It usually has something to do with money. Yes, the love of mammon is usually the cause of making miracles into everyday events, which of course obliterates the distinctive features of miracles entirely. If any event may be termed a miracle, then miracles are not miraculous. This purchase of property is said to be a miracle in order to convince us to participate in the next miracle. What miracle would that be? The miracle of helping pay the balance of the remaining debt! What a miracle! Yes, you and I may become modern-day Elijahs just by contributing to this cause in a financial way! Asking us to participate in this miracle would be like Jesus asking for fermented grapes in the making of wine! But so what? O blessed participation in a dumbed-down miracle!—a tailor-made miracle for anyone with money in the pocket! Why is the word ‘miracle’ so loosely used among folks today? Is it not because of ministry leaders and their love of money? 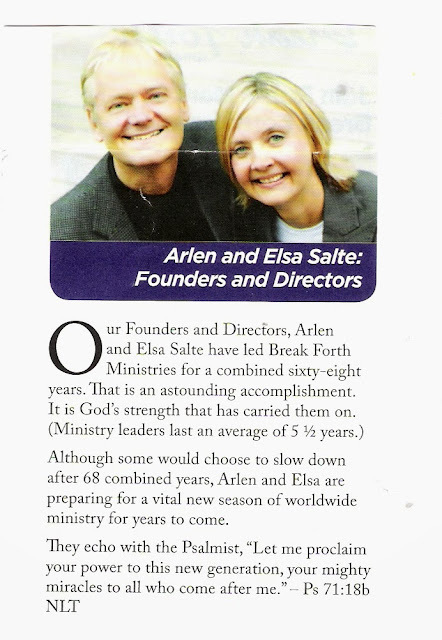 Arlen and Elsa Salte have ’68 combined years’ of ministerial experience to their credit. That many years, and so little respect for something as divinely connected as a miracle? That many years, and they resort to a paraphrase of the Bible to quote and prove from? Why do they quote the NLT version of the Bible? It is because that version has the word ‘miracles’ in the verse they want to use. Does the NLT properly translate the verse they quote? Who cares? It has the word ‘miracles’ in it, which steers the verse in the direction of Arlen’s and Elsa’s design. 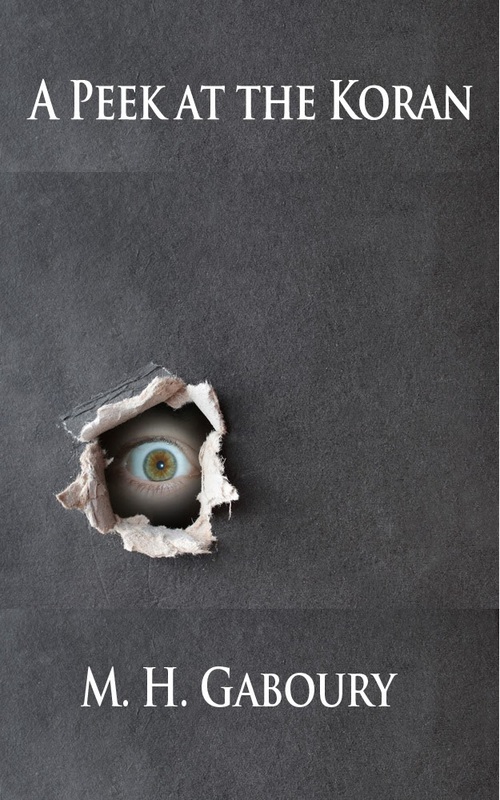 Liberal theology (by which I mean: a too liberal use of divine terminology) is always intertwined with various classes of sins, perhaps especially with those sins that fall under the classification of pride. Here is what I mean. From the letter: “Please ask God if He would have you partner with us. Then, fill out the reply card below and send your gift in the enclosed envelope.” So if we ask God for an answer as to whether we should support Arlen and Elsa in their cause, then his answer must come back in the affirmative! Arlen and Elsa know it. What a miracle to know God that well! What presumption! And then, after being so presumptuous, Arlen and Elsa have the nerve to follow up with, ‘In Christ.’ Should Christians presume that presumptuous people who use the word ‘miracle’ in the most promiscuous fashion for soliciting funds are ‘in Christ’ with them? I will not presume. I will not be so presumptuous as to believe such a thing. Presumptuous liars deserve to be doubted. Lukewarm worship, lukewarm doctrine, and lukewarm sins, considered together, constitute a half-baked ministry. Unless a miracle of grace (or something approaching thereto) occurs in the souls of Arlen and Elsa, Break Forth, when it resumes, will break forth afresh down its crooked, worldly course, as half-baked as it ever has.